The good news for all fans of Far Cry series! Finally, Far Cry 4 game has not only been officially announced, but has also got its release date and some project’s details have also been revealed. 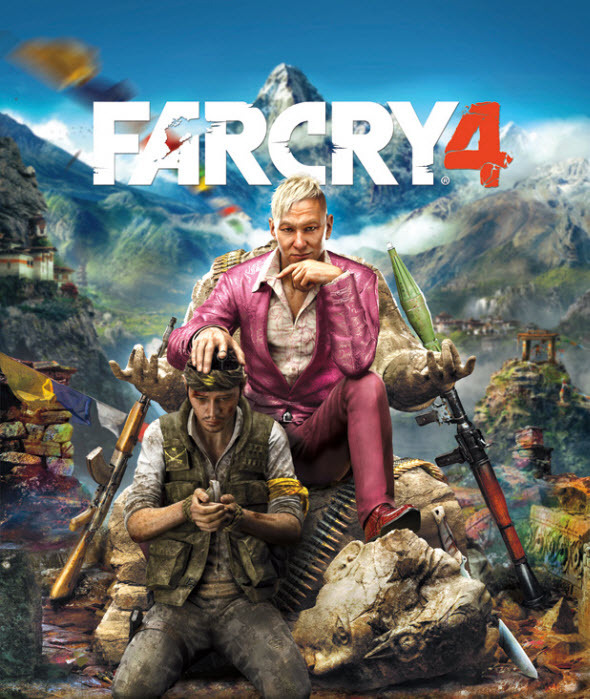 It seems that yesterday Ubisoft - the publisher of this whole franchise - decided to please the fans of Far Cry series, having officially confirmed the development of its next instalment and having revealed the Far Cry 4 release date and some its details. But lets talk about everything in order. Thus, the first thing that we would like to tell you is Far Cry 4 release date, which is scheduled for November 2014. In the USA the project will be launched on the 18th of November, in EMEA territories its release will take place two days later - on the 20th of November - on the current and next-gen consoles, as well as on PC. The second thing to tell is the place, where the game’s action will unfold, and some its details. According to the official information, which completely corresponds to the previous rumors, snowy Himalayas, or to be more exact Kyrat region, where a despotic king rules, will be the main location of the future project. This territory is full of surprises and dangers from the part of wildlife, so you should be very carefull in order not to become the victim of some exotic animal, for example. You will be given the chance to create your own story, exploring the perilous world of Himalayas, using different weapons and vehicles. More information about the game the developers have promised to tell during E3, which will take place in a couple of weeks. But that’s not all Far Cry 4 news. 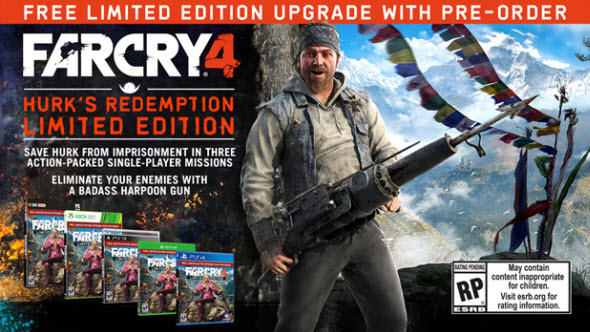 The game series’ creators have also told, which bonuses will be given to those who will pre-order Far Cry 4. So, these players will get Limited Edition, which includes 3 missions with Hurk - the character of the previous instalment in this series - and an exclusive weapon (harpoon gun). And the last thing that we would like to share today is the box-art of the upcoming project. Enjoy! Did you like the picture? Are you satisfied with Far Cry 4 release date? Are you waiting for this FPS? Your answers may be left at the bottom of the page.